• Chronic Disease Self-Management Program (CDSMP), called Living Healthy with Chronic Disease in North Carolina,—like the Living Healthy with Diabetes Program assist persons with arthritis, heart disease, COPD, fibromyalgia, diabetes and any other chronic disease to better manage their conditions and live a happier, healthier life. • Chronic Pain Self-Management Program (CPSMP), called Living Healthy with Diabetes in North Carolina, assist individuals who have chronic pain by emphasizing four concepts: (1) each person with chronic pain is different, (2) there are a number of things people with chronic pain can do to feel better, (3) with knowledge and by experimenting, each individual is the best judge of which self-management tools and techniques are best for him or her and (4) the responsibility for managing your chronic pain day-to-day rests with you, not anybody else. CDSMP, CPSMP and DSMP programs were developed through Stanford University Patient Education. The workshop meets 2.5 hours once a week for six weeks. Each participant receives a companion book and an audio relaxation CD. • The Arthritis Foundation Exercise Program— is a group exercise program designed specifically for people with arthritis that uses gentle activities to help increase joint flexibility, range of motion and maintain muscle strength. This program, originally developed by the Arthritis Foundation, has classes that meet for 1 hour twice weekly for eight weeks. 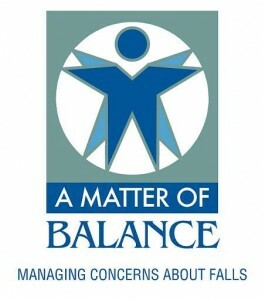 • A Matter of Balance—is an 8 session program specifically designed to reduce fear of falling, stop the fear of falling cycle, and improve activity levels among community dwelling older adults. The program uses practical coping strategies to reduce fear of falling and to diminish the risk of falling including group discussions, mutual problem solving, exercises to improve strength, coordination and balance, and home safety evaluation. Healthy Eating for Successful Living in Older Adults—is both an educational and support program designed to assist older adults in the self-management of their nutritional health. 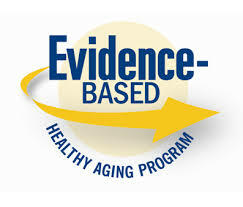 The focus of this program is to encourage participants to understand and implement eating and activity behaviors that support heart and bone health. The main components of the program include self-assessment and management of dietary pattern, goal-setting, problem-solving and group support, education, relying on both group interaction and the expertise of a Registered Dietician/Nutritionist when needed and behavior change strategies. The program meets for six sessions, one session each week, 2.5 hours each session and a restaurant outing to test knowledge and skills.